Price $120. 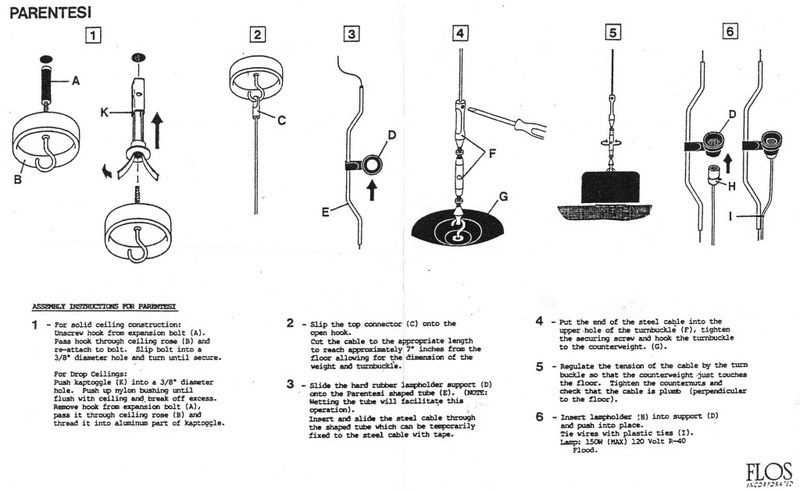 Are you into Danish mid century modern design toys? We bet you are! 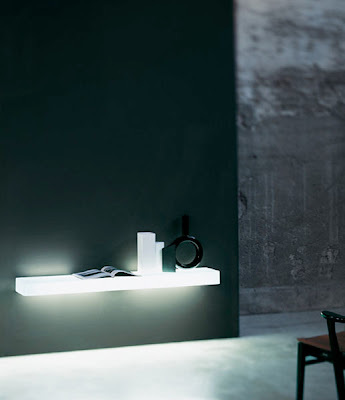 Now you have reason to delight; we've got just the wooden animal to put on your deskl. 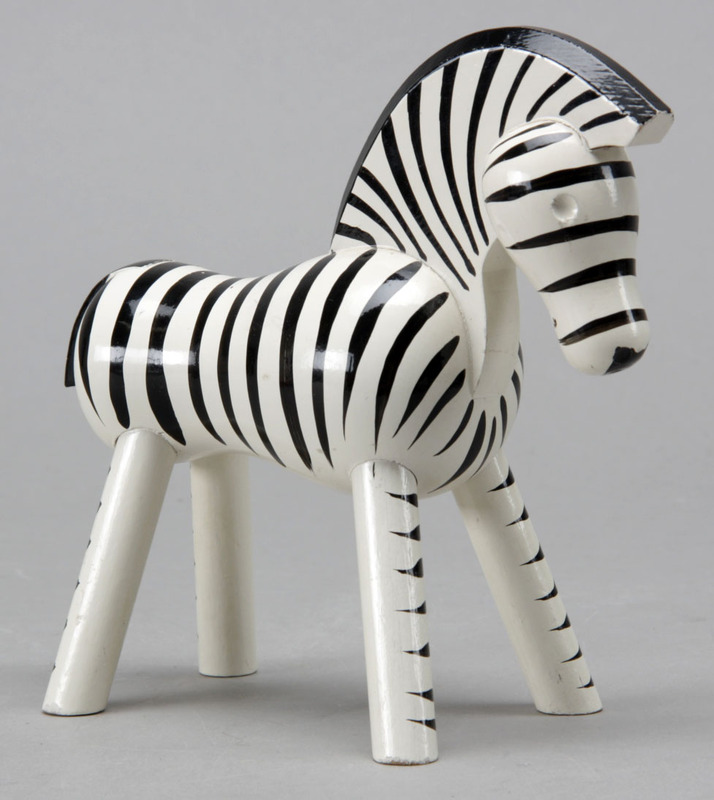 The Kay Bojesen Zebra from Denmark (pictured her at a recent auction house sale), designed in 1951, puts a different perspective on "danish modernism". No need to shell out a few thousand for a Safari in Kenya. 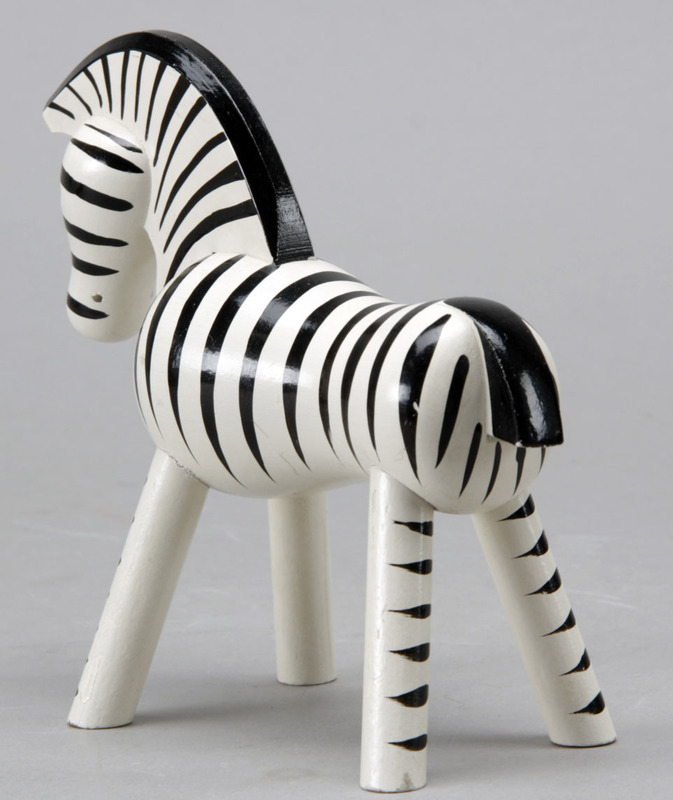 This Kay Bojesen Wooden Zebra in Black Striped White will do just fine. 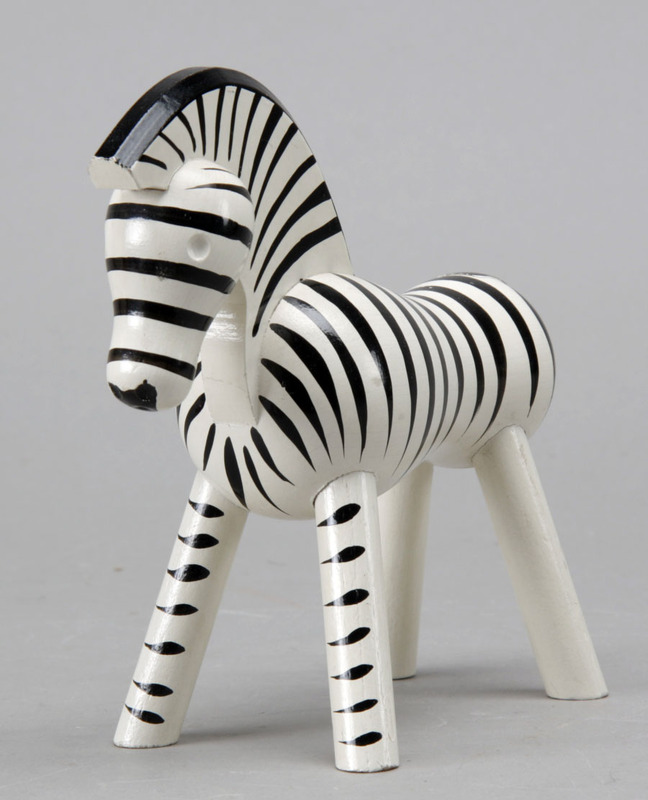 Kay Bojesen's fun and stylish Zebra is finally available again from the fine chaps at Stardust.com.